This is the software license for both the single-user and the network editions of the current version of OrderGen. This End-User License Agreement (“EULA”) is a legal agreement between you (either an individual or a single entity) and the mentioned author of this Software for the software product identified above, which includes computer software and may include associated media, printed materials, and “online” or electronic documentation (“SOFTWARE PRODUCT”). GRANT OF LICENSE. This EULA grants you the following rights: Installation and Use. You may install and use a trial copy of this software on any computer. The SOFTWARE PRODUCT may not be sold or be included in a product or package which intends to receive benefits through the inclusion of the SOFTWARE PRODUCT. 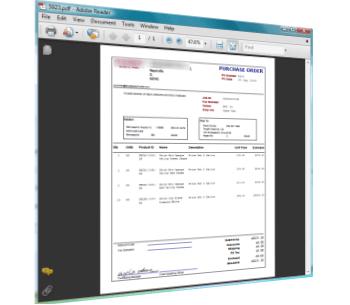 All title and copyrights in and to the SOFTWARE PRODUCT (including but not limited to any images, photographs, animations, video, audio, music, text, and “applets” incorporated into the SOFTWARE PRODUCT), the accompanying printed materials, and any copies of the SOFTWARE PRODUCT are owned by the Author of this Software. The SOFTWARE PRODUCT is protected by copyright laws and international treaty provisions. Therefore, you must treat the SOFTWARE PRODUCT like any other copyrighted material except that you may install the SOFTWARE PRODUCT on a single computer provided you keep the original solely for backup or archival purposes. The SOFTWARE PRODUCT and documentation are provided with RESTRICTED RIGHTS. Use, duplication, or disclosure by the Government is subject to restrictions as set forth in subparagraph (c)(1)(ii) of the Rights in Technical Data and Computer Software clause at DFARS 252.227-7013 or subparagraphs (c)(1) and (2) of the Commercial Computer Software-Restricted Rights at 48 CFR 52.227-19, as applicable. Manufacturer is SOHO Software Group, Applied Analytic Systems 651 Holiday Drive, Greentree, PA, USA. Should you have any questions concerning this EULA, or if you desire to contact the author of this Software for any reason, please contact the author at the email address mentioned above in this EULA or write to the mailing address (also mentioned above). This is application software, created to run on an operating system developed by a company or companies over which the author has no control. The operating system creator may, at its discretion, periodically issue updates that may conflict with and/or affect the operatibility of this software. The author will not be liable for damages, refund processing, or for providing technical support, either free or paid, for issues that are not related to changes made to this software by this software’s author. 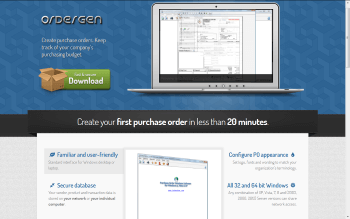 One Single User Licensed copy of OrderGen may be installed and used on a single computer workstation by a single person or non-simultaneously by multiple people. A default Network License satisfies licensing requirements for no more than 15 workstations. You may access the registered version of OrderGen through a network, provided that you have obtained a site license, a network license, or individual licenses for the software covering all workstations that will access the software through the network. For instance, if 8 different workstations will access OrderGen on the network, each workstation must have its own OrderGen license, regardless of whether they use OrderGen at different times or concurrently. A Site License satisfies the individual license requirements for each computer within an organization.